Killer whales' cunning along with their wide-ranging diet make them seem resistant to human-caused disturbances, but a new study finds these apex predators are imperiled by a class of industrial chemicals first banned more than 30 years ago. The big picture: Many populations of orcas may disappear entirely during the next 100 years due to polychlorinated biphenyls, or PCBs, building up in their tissue. That contamination may cause multiple killer whale populations to crash in the coming decades, which would have a ripple effect throughout the food chain, according to a new study published Thursday in the journal Science. The background: More than 90 countries have signed an agreement, known as the Stockholm Convention, to destroy stocks of PCBs, but they slowly decompose in the environment. Because orcas are at the top of the food chain, they have far higher concentrations of PCBs in their system than smaller species lower on the food chain. This occurs because of a process known as biomagnification, through which species at higher trophic levels take in doses of substances accumulated from each step in the food chain. About 1 to 1.5 million metric tons of PCBs were produced worldwide between 1930 to 1993, the study states. 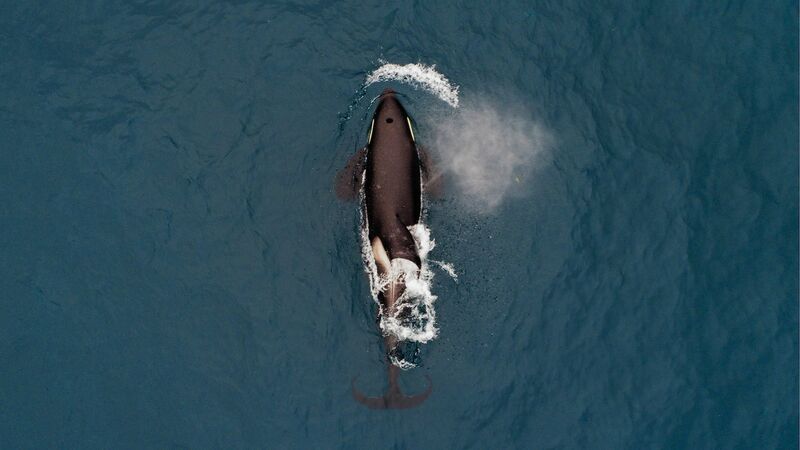 Research shows that PCBs can impair killer whales' reproduction, disrupt orcas' endocrine and immune systems, and slow population growth or even cause them to decline. Orcas used to be widespread throughout the global oceans, but due to PCBs and other factors, only a few populations are gaining numbers. What they did: The international team of researchers examined available data on PCB concentrations about 350 killer whales worldwide, and compared them to levels known to affect reproduction and immune system functionality. More than half of the 19 studied populations of killer whales have "achievable growth rates" that are so low so as to cause them to decline, potentially inexorably. Brazilian, Northeast Pacific Bigg's, Canary Islands, Greenlandic, Hawaiian, Japanese, Strait of Gibraltar and UK orca populations are all "at high risk of collapse over the next 100 years," the study states. Orcas farther away from industrialized countries tend to be better off, such as those in the Arctic and Antarctic. The researchers found far higher amounts of PCBs in killer whale populations that rely on marine mammals and tuna as a food source, since those species have higher levels of PCBs in their system. "It’s true that modeling is a tool to assess the impact of PCBs – but we acknowledge that all models have some degree of uncertainty. That said, PCBs as chemicals do lend themselves very well to this type of modeling – because they behave in very predictable ways in killer whale populations." "I would agree with their findings that these high-risk populations very likely are going through a decline associated with elevated PCBs," said Brendan Hickie, a senior lecturer at Trent University's School of the Environment who was not involved in the study. The bottom line: This study has implications for conservation efforts, since few populations of killer whales have legal protections, and these are not specific to PCBs.